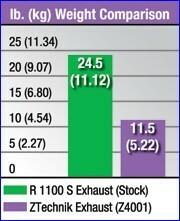 Ztechnik BMW Performance exhaust give great power ains and low weight plus increased torque and performance . Titanium – stronger than steel and half the weight! 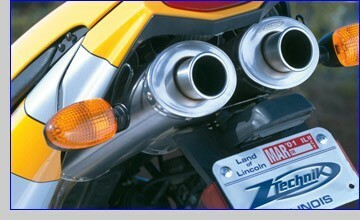 Titanium is the ideal material for the ZTechnik Z4001 Exhaust System. It's purpose-built for improving the sound and performance of the stock R1100S, and it's dyno-tuned to deliver power where you need it most – right around 4500 RPM. The system's unique mid-collector also improves mid-range torque. 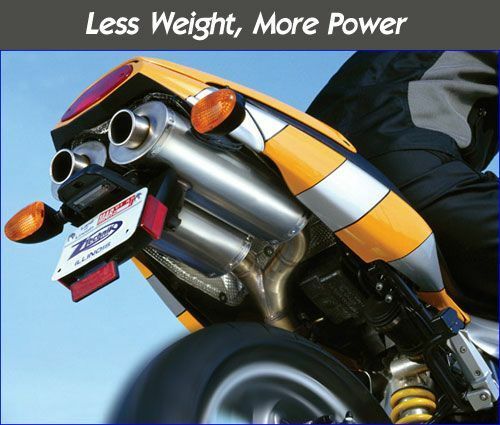 Best of all, the Z4001 lets you quickly shed 13 lbs. That's a whopping 47% decrease in weight! Try the ZTechnik Diet Plan, and lose weight overnight!